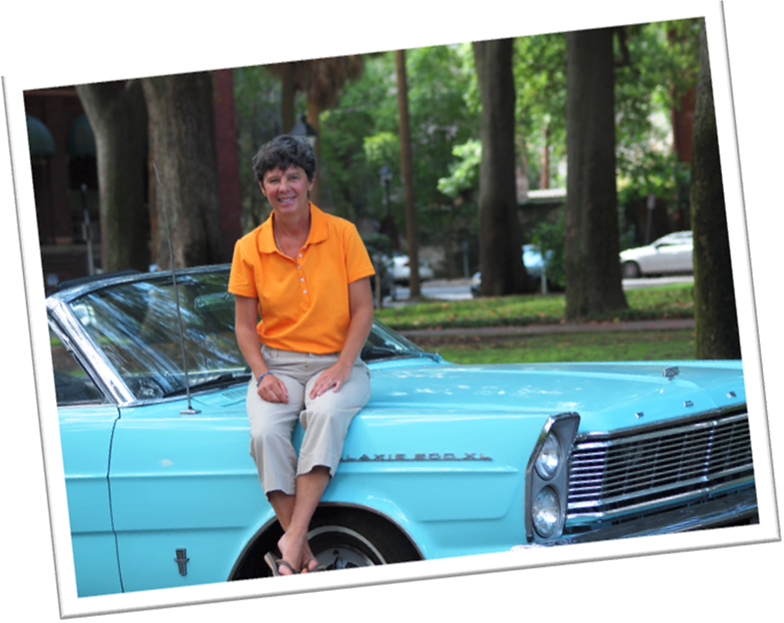 Cayce Girardeau is a Savannah icon, riding around town in her vintage Ford Galaxie. She has a friendly smile and sparkling eyes. Looking at her, you might never guess that she is a cancer survivor. She says, “My initial diagnosis was 10 years ago and came only one year after my sister died from breast cancer. After surgery, chemo & radiation, I was cancer free for 5 years. In my 6th year, I found a tumor that had to be removed. Although I did chemo and radiation again, the cancer has spread to other parts of my body over the last 4 years. June’s survivor is a huge advocate and fundraiser for all things breast cancer related, “For each of the last 2 years, I have organized a scavenger hunt fundraiser around St. Patrick’s Day. The proceeds from the Shamrock Scramble are split between local affiliates for Susan G. Komen and Young Survival Coalition. In two years, we have raised over $3000 for each of these worthy groups,” says Cayce of her amazing efforts. I participated in the first Shamrock Scramble and it was a blast! So through fundraising, spreading awareness about being responsible for your own health Cayce Girardeau is a shining star amongst our Savannah survivors!